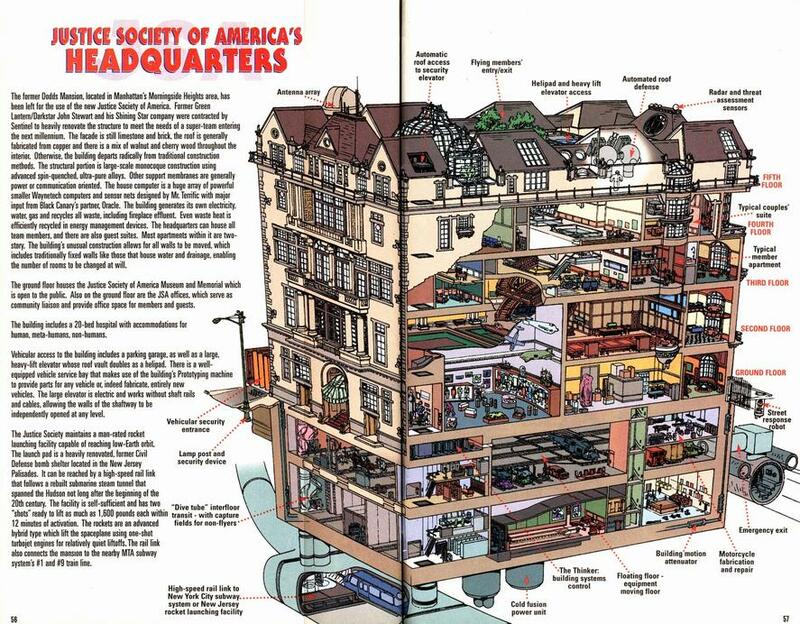 I'm looking for the floorplans of a NYC mansion that is similar to the one used by the JSA headquarters... i've been hunting and hunting, and not been able to find one yet. Anyone who can help me find the floor plan that i can use, i'd really apprecate it. Wish I could help, I've been looking for something very similar to that and hadn't even found the picture you posted. So stealing that thanks. Autumn Knight wrote: Wish I could help, I've been looking for something very similar to that and hadn't even found the picture you posted. So stealing that thanks. your welcome. glad to be of service. This has the Avenger's mansion and Avenger's compound. You can find a lot of maps and floor plans in the various source books at www.classicmarvelforever.com . Click on Other Stuff then downloads.